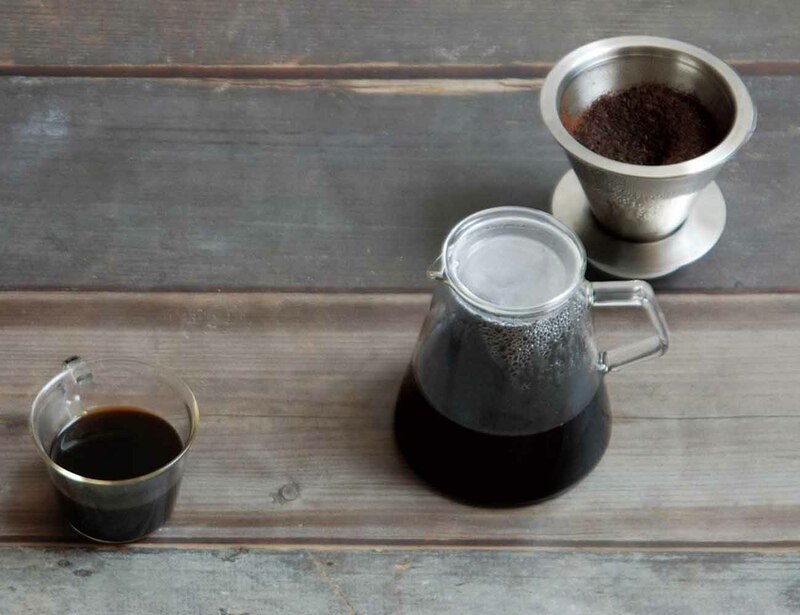 Enjoy your java the classic way with the Kinto Carat Coffee Dripper and Pot. 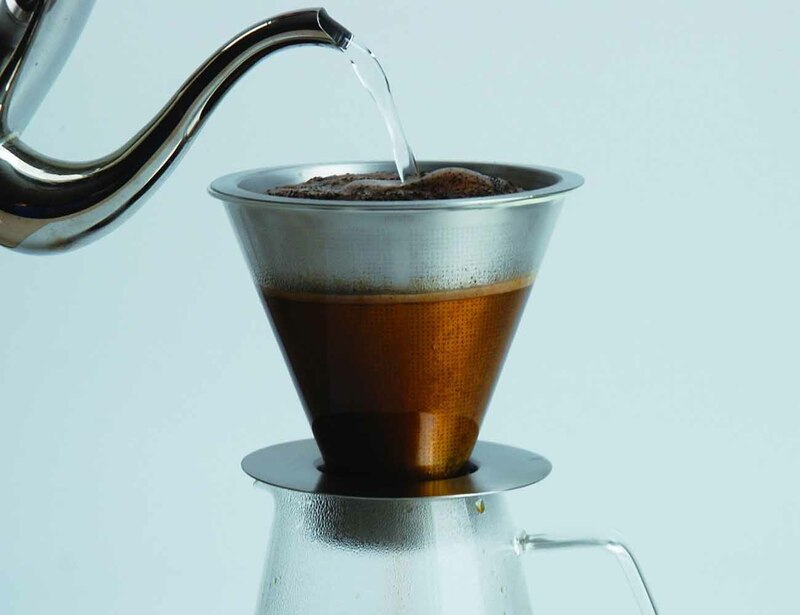 Made for the true coffee and tea aficionados who want to get the most out of every cup, this dripper system is very easy to use, clean, and store. 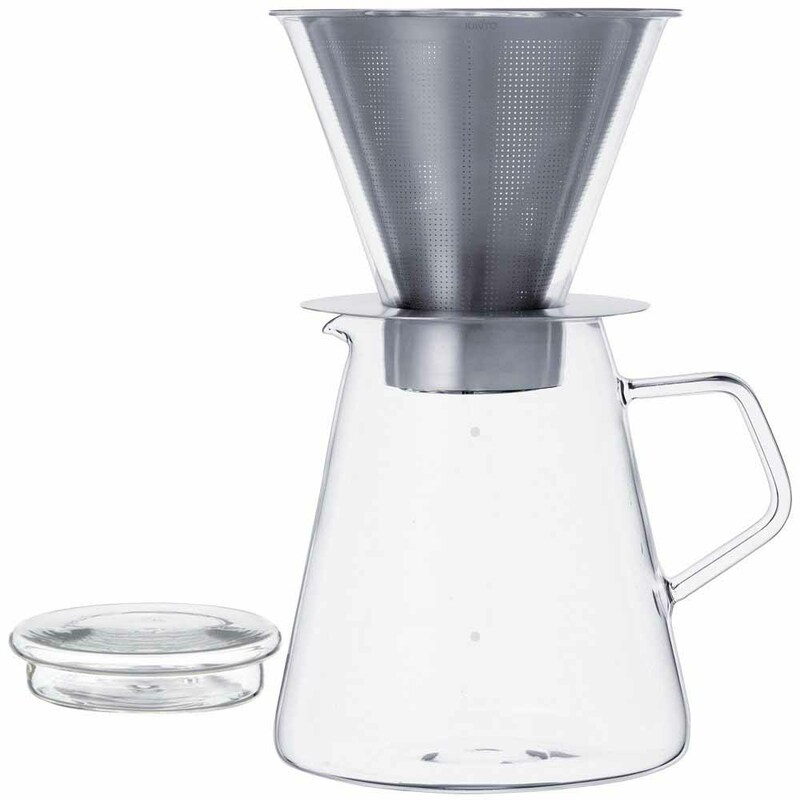 Instead of a paper filter, the Carat Coffee Dripper and Pot uses a sturdy stainless steel filter to brew aromatic coffee. This material is able to extract more coffee oil which results in a richer tasting coffee to jumpstart your day. 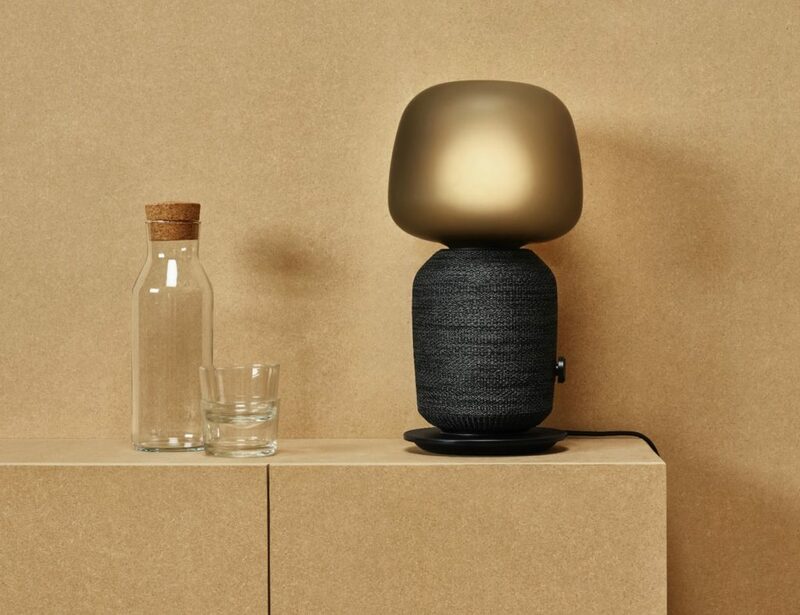 The Carat Coffee Pot is made with a beautiful heat-resistant glass which glistens with every drop of coffee or tea added. The filter is outfitted with a silicone base to securely sit atop the pot while your coffee brews. 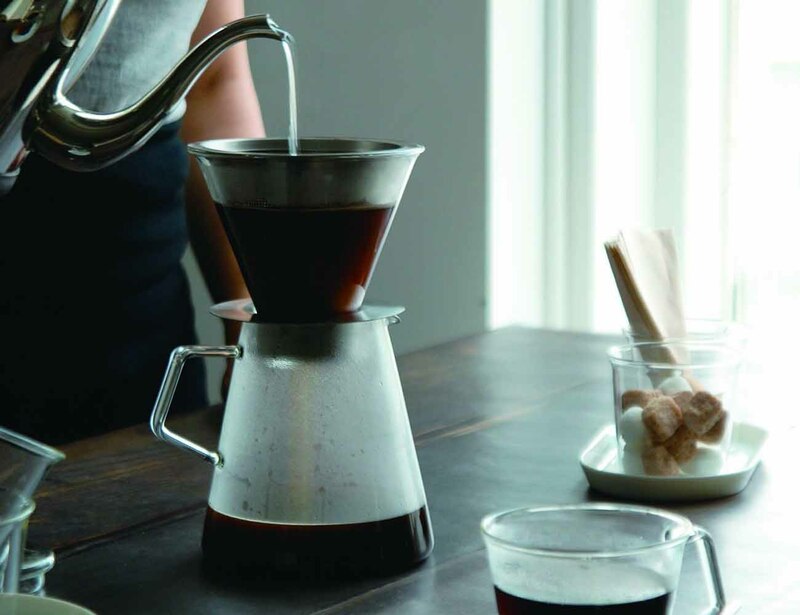 Start your morning off right with the Kinto Carat Coffee Dripper and Pot.